Home > Blog > Operations Management > Sales Strategies & Customer Retention > Will Your Sales Coverage Model Help Drive Profitable Growth? In a recent article, we looked at how Los Angeles and Southern California business owners and executives can drive profitable growth in their companies. Here, we follow up that discussion with a look at the sales coverage model and the role this plays in sustaining profitable business growth. What is a Sales Coverage Model? Outside field sales — Assigned to installed base, major accounts, target accounts and/or specific geography. Inside sales — Responsible for inbound/outbound lead qualification, lead nurturing, deal support for outside reps and sales management, and the entry level or “light version” of products or services typically used to lower the cost of entry for new customers. Alliance partners — Distributors, resellers and other indirect sales channels. Systems integrators — Implementation firms supporting overarching business and large-scale integration. Pre-sales support — Technical, implementation services, application support, clinical specialists, etc. Post-sales support — Ancillary sales, customer support, warranty and retention. Determining the best structure, deployment and teaming model must be carefully thought through from a customer and prospect coverage point of view. Maximizing the potential for driving profitable growth is basically about “bang for the buck” — or in other words, what coverage model generates the most sales revenue while ensuring that it can be deployed in a cost-effective and efficient manner? Is your sales coverage model aligned with opportunities in the market? Have you calculated your profitability by channel? Is your sales coverage model aligned with your customers’ buying preferences? How do they want to be supported in their purchase/evaluation process? What’s the coverage model of your key competitors? Where are you under-represented? Where are there gaps to exploit? What measures do you have in place for assessing the efficiency of different parts of your sales structure? All of these questions must be carefully explored to properly evaluate your current sales coverage structure and identify which adjustments have the greatest potential to impact top-line revenue in a cost-effective manner. Installed base add-ons and upgrades, cross-selling, up-selling, and new business in other parts of the organization. Multi-national companies (installed base and target accounts) requiring large/strategic account planning, tools and collaboration to effect change. Segmentation based on product, project and/or enterprise value and organizational impact (i.e., single end user product and/or departmental sell vs. enterprise solution sell to C-suite and VP levels). 1. Improper customer segmentation. The key is to determine the ideal customer persona or profile based on where your product or service has proven and/or is determined to have the highest value, ROI and impact once initial awareness and consideration are established. The quality and effectiveness of demand creation to create and nurture initial awareness and consideration plays a large role in determining the required attributes of the sales force. Profiling these attributes helps define sales job descriptions, experience and skill levels required to effectively sell and close business. 2. Assigning the wrong salesperson. Proper selection and alignment of the right type of salesperson to the buying company culture and primary decision makers play increasingly important roles. This is especially true given the abundance of product and/or service information available to make a buying preference long before a salesperson is called or attempts to influence the buying vision or business requirements. 3. Account coverage overlap. This can be unavoidable given that the larger the target company, selling company and product portfolio, the more complex the coverage considerations. The key to success is channel-neutral comp plans aligned with extensive teamwork, collaboration and continuous use of CRM tools to keep everyone informed. 4. Creating and managing indirect channel partners as separate entities. Regardless of the simplicity or sophistication of the channel partners and the products and services they're representing, they must be treated as equals — equal to the direct selling organization from a training, demand creation, support and required readiness perspective. Customers should feel completely comfortable making an equal buying decision from any channel partner they prefer, without feeling compromised. Our digital economy provides an endless source of information helping customers make buying decisions. Regardless of their predisposition, ensuring that you have a well-balanced and customer-aligned sales coverage model is a key lever to driving profitable growth and a key part of an overarching customer-centric sales ecosystem. 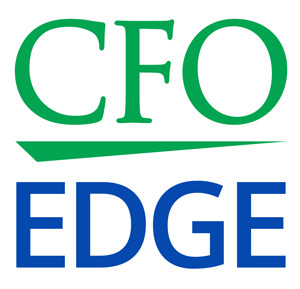 An outsourced CFO services provider can help you establish a sales coverage model that will help drive and sustain profitable growth for your company for many years to come.